May He be glorified. May His peace and favor rest on us. May God bless us with his Peace & Love! All glory and honor belongs to our Lord and Savior, Jesus Christ! Merry Christmas everyone! God bless you all! Thank you for this article. I was reminded of something I read awhile back about the shepherds being in service of the temple and in helping in the birth of firstborn male lambs to choose those that would be spotless. This took place in Bethlehem which means House of Bread. The birthing room was called Migdal Eder, in the Tower of the Flock I think and the manger was hewn in the rock for the newly born lamb. So, Christ, the sacrificial sinless lamb was born here. The shepherds knew where to look for the new born King after the angels appeared to them. People could purchase one of these lambs to sacrifice in the temple. So, we were purchased by the blood of the lamb Jesus Christ. Isn't this just beautiful. Cathi, that's so interesting. Thank you for sharing! How can it be ever claimed as "Christianization" when red Santa costumes and fir trees become a global hype among nations that historically even never before were touched by celebrating these traditions? It seems to me like a spreading of global 'SaTaN cancer' (just change the letters from 'SaNTa') that has now especially exploded all over in 2017. It's just so much obvious now, how sad that even Christians don't understand. Must be related to endtimes. 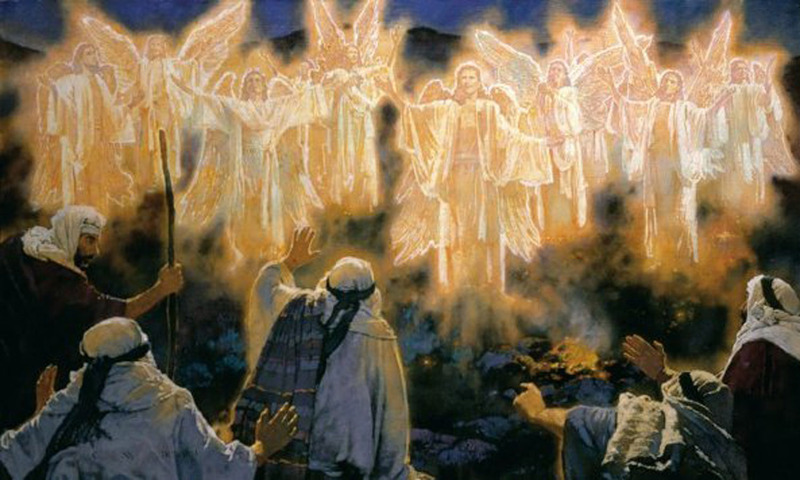 MARANATHA, come quickly LORD Jesus! Thank you Dear God in Heaven for the sending your only Son to be born of the Virgin Mary and die for our sins so that through Faith in our Lord Jesus Christ and the gift of Grace we may one day enter Your Kingdom of Heaven. Please God, accept our humble celebration of the birth of your Son, our Lord and Savior Jesus Christ, understanding that we don't know the true day of His birth, but our need to celebrate the most glorious day in the history of man is our intention. Glory to God in the Highest and peace on earth and goodwill towards men. Through your Son Jesus Christ we give You thanks and praise. May we one day be granted the honor and privilege of bowing down at the feet of our Lord and Savior. Amen. Hello friends!! Very interesting discussion glad that I came across such informative post. Keep up the good work on watch movies online free.